Energy renovation could become one of the biggest success stories of the next EU budget. As the EU seeks to re-energise its image and boost the confidence of EU citizens in the face of rising Euroscepticism, the next Multi-Annual Framework (MFF) offers a golden opportunity. By placing energy renovation centre-stage in the post-2020 MFF, the EU can demonstrate the tangible benefits that EU policies and funding can deliver to citizens on the ground. What better way to reach out to EU citizens than by improving their health, comfort and well-being in their homes, their offices, their schools, where we spend up to 90% of our time, while simultaneously creating quality jobs for local SMEs, improving social inclusion through urban regeneration and skills development, and boosting European competitiveness through innovation and digitalisation? Energy efficiency has displaced railways as the largest recipient of low carbon funding (at 34% of the total) in the current spending and is expected to be employing 2m more people by 2020. Demand for the private finance for energy efficiency (PF4EE) programme is significantly higher than expected, while efficiency projects are benefitting from €11.5bn of funding under the European Regional Development Fund (ERDF) and the European Social Fund (ESF). It is thought that energy efficiency funding allocations have tripled under this MFF compared to the last one. However, welcome as this is, the present budget is not expected to meet its target of spending 20% of monies on green projects. And with Brexit and new spending priorities potentially rending a €24bn hole in the post-2020 MFF, it is time to take stock and prepare for the road ahead. So how to ensure that energy renovation is prioritised in the post-2020 MFF? The heightened concern of EU citizens for climate change, compounded by the dire foreseen economic consequences, encouraged the EU to include the innovative concept of ‘ringfencing’ in the 2014-2020 budget – 20% of EU monies had to be spent on green projects, with energy efficiency in buildings highlighted for the transition to a low-carbon economy. Enshrining energy renovation as a specific thematic objective with a minimum earmarking threshold in future investment policies would be the first step to ensure that the funds are invested in an area which delivers real benefits for EU citizens, while at the same time underpinning the Commission’s commitment to the ‘Energy Efficiency First’ principle. Linking cohesion policy investments better to member states plans to achieve 2030 energy and climate targets and to national renovation strategies would be a clear signal to MS about the EU priority and another means of channelling EU funds to deliver a people-centric budget post-2020. 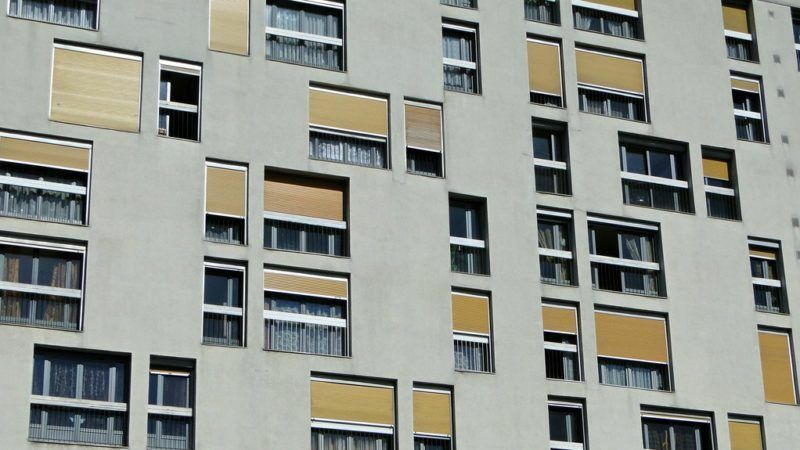 Reducing the energy demand of buildings is crucial to achieve a highly energy-efficient nearly zero-energy building (nZEB) level building stock by 2050 and to deliver on the EU’s commitments under the Paris Agreement. Ex-ante conditionalities, which proved successful in the 2014-2020 budget in order for member states to access cohesion funding, could be deployed again to boost the prioritisation of energy renovation in spending budgets across EU’s regions. Energy renovation is the ideal tool to deliver on the increased focus in the ESF to support the establishment of a green economy. Energy renovation is an increasingly attractive sector for youth, thanks mainly to the digitalisation of the sector. Catering to the variety of skills offered in the building sector, from white collar to blue collar, by prioritising energy renovation training courses in the ESF, would help boost youth employment in some of the EU’s poorest regions, thereby improving economic, social and territorial cohesion, a key objective of the MFF. With a 10% cut in spending looming for the post-2020 period, the Commission Vice-President Günther Oettinger is already touring Europe’s capitals to sound out national appetites and try to gain consensus for where the axe may fall. One question already being asked is whether shrinking resources should be focused on Europe’s poorest regions? As former energy Commissioner, Oettinger will be aware of the vital role that renovations must play if Europe’s housing stock is to achieve zero carbon emissions by 2050. Certainly, deprived areas such as Eastern Europe and northern Europe’s inner cities would receive outsized benefits from energy renovations – in tackling fuel poverty, poor health and urban regeneration issues, as well as improving energy security and cutting greenhouse gas emissions. As battle lines are drawn ahead of the pre-MFF haggling, finance ministers are becoming more important than energy ministers in deciding the sectors with the highest economic potential and with the most tangible return on investments for citizens and our societies at large. Where other forms of fiscal stimulus may export jobs (or import products) from outside Europe, energy renovations are guaranteed to create employment in Europe, improving local economies and addressing inequalities. Energy renovations must be recognised as the sharpest arrow in the EU’s quiver – for addressing unemployment, greenhouse gas emissions, public health and fuel poverty. Let’s not forget that when the inevitable belt-tightening counterblast arrives.